Wired home entertainment systems and bulky speakers are a thing of the past: their Bluetooth-enabled counterparts have taken over our homes. However, not all Bluetooth speakers are created equal, and you’ll want to make sure you’re dropping your money on a worthwhile model before you invest. The Soundcore Flare Wireless Speaker has gorgeous sound and a head-turning design that’s well worth the cash. The Soundcore’s premium dual sound drivers are arranged in a back-to-back configuration to deliver intense 360-degree sound. BassUP Technology analyzes and enhances your playlist’s lower notes in real time, delivering intensified sound via state-of-the-art neodymium drivers. If you really want to increase your surround-sound experience, you can pick up more than one Soundcore speaker and effortlessly link them together, too. This speaker’s handheld design also features a halo of LED lights that pulse, phase and shine with the rhythm of your music. This creates an immersive audio experience that’s great for parties or for boosting your ambiance at home. The speaker also has an IP67 waterproof protection rating, so it’s safe for pool parties and other outdoor events. 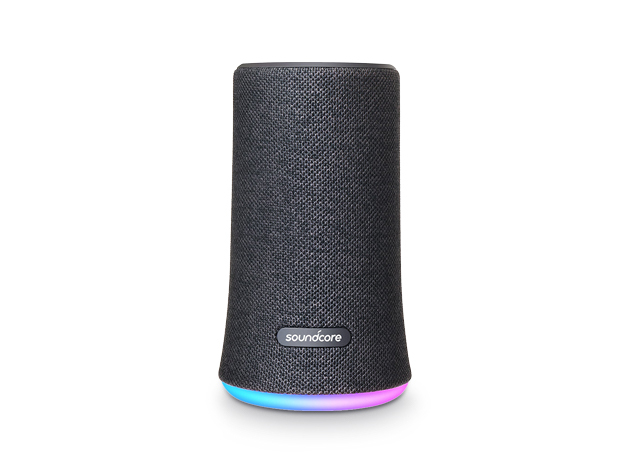 Quality Bluetooth speakers can cost several hundred dollars, but Soundcore’s Flare Wireless Bluetooth Speaker only costs $59.99. You can buy multiple speakers for an LED sound party that reaches every corner of your home or just enjoy the light show and spectacular sound of a single speaker. Salon readers can save an additional 10% on this speaker with code SBS10OFF.